Developed by Apple Inc., iTunes Radio is an internet radio service designed for all iTunes enthusiasts and is made accessible to all IOS devices. Its listeners are allowed to create multiple playlists, customize their own station and acquire the station’s featured track for a fee. iTunes Radio Music also features over 200 stations with different genres, making it suitable for all iTunes subscribers. Additionally, you can setup your own radio station according to your favorite music performers, genres and hit singles among others. 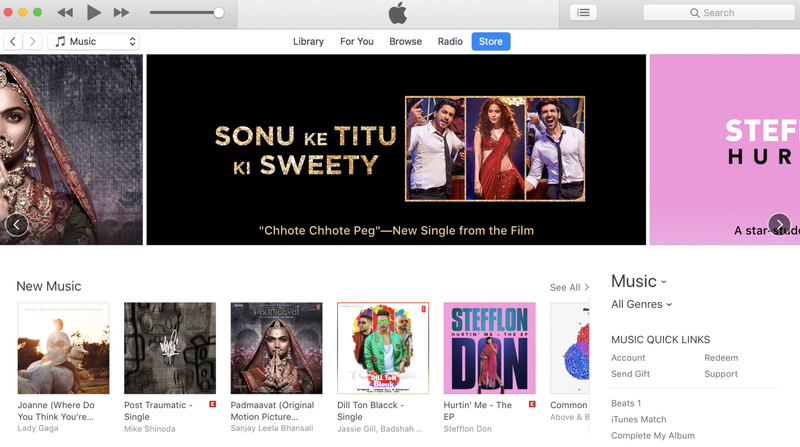 Despite these exciting features of iTunes Radio Music, users are not allowed to download any audio file from the playlist and personalized stations. What makes it even worse is that you can’t access your station if you don’t have an internet connection while browsing the site. The best option is to record the music so you can listen to it anytime you want. Luckily, Cinch Audio Recorder is now available to help you establish your own track listings on your computer. Cinch Audio Recorder is easy-to-navigate recording software that allows you to create high-quality songs directly from iTunes Radio Music. 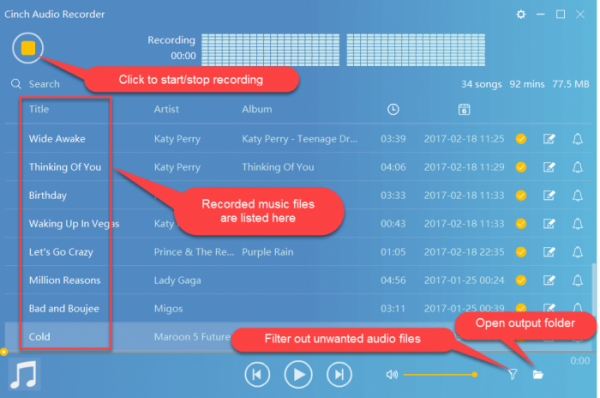 It supports various internet radio services, podcast stations, and music streaming sites, providing users the opportunity to store their favorite music tracks to any local hard disk. You can directly record the songs while they are being played on iTunes Radio. This step-by-step process will help you learn how to record iTunes Radio Music using this efficient audio recorder. Step 1: Install Cinch Audio Recorder and launch it after installation. Make sure to select the Mac OS version before the software installation. There should be no music players running while recording is taking place. Step 2: Locate the “start” button on the screen. Cinch Audio Recorder is now ready to capture your selected music file from iTunes Radio. Step 3: Play the specific song or playlist that you would like to capture. Cinch Audio Recorder will automatically start recording the selected songs. Step 4: Click on the “stop” button to finish the recording. If you’re unhappy with the audio quality, you can repeat the whole process, starting from step 2. Step 5: All recorded files are automatically stored in your designated output folder. Click on the folder icon found at the bottom of the screen to view the list. Since iTunes Radio Music displays all details related to the song, Cinch Audio Recorder will even capture all relevant information like the album title, track length, featured artist and song title. This recording software also allows users to modify the track info if there are incorrect details. You can modify the specific field that you wish to change by clicking the “ID3 Editor” found at the right side of the screen. The recorded files will appear like a playlist where you can delete poorly-recorded tracks and unfinished recordings. iTunes Radio has become a great choice for many listeners where they can listen to their favorite songs and anticipate new ones to be released soon. Let Cinch Audio Recorder provide you the perfect audio experience as you’ve always wanted.